I was taking a quick (really, really quick I promise) break from studying and I was checking out a embroidery blog that I really enjoy, Sublime Stitching. 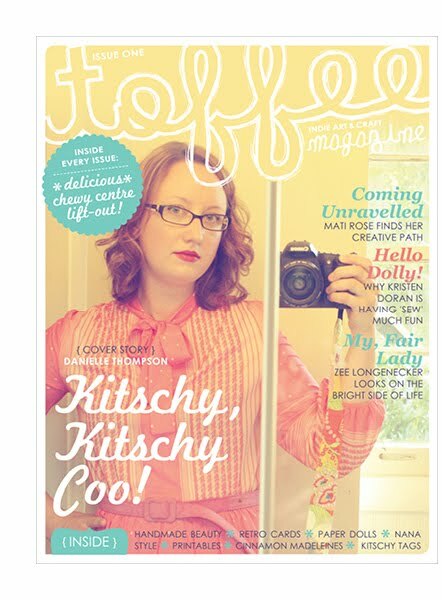 The most current post is all about a new online craft magazine (oohhh yeah) called Toffee. Toffee is 24 pages of all sorts of crafty things! The best thing is that it is cheap... and with the Sublime Stitching voucher, you can get an extra 10% off of that.. how exciting. When I finish exams (Friday) I am planning on getting on that! Anyone for a Dancing Skeleton!